A. Open Settings in the game. - Turn on/off "Sharing" in accordance with your preferences. B. Open Settings on Facebook. - Go to "Your Apps". 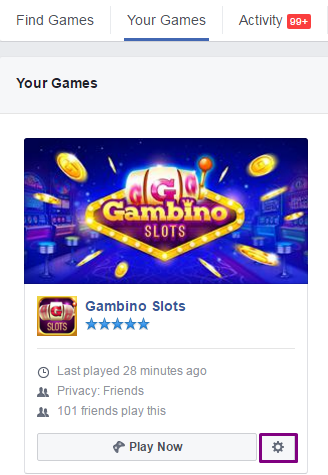 - Click on cogwheel near Gambino Slots. - Make sure that "Post" is activated in case you want to turn the sharings on.